The resulting album highlights 18 tracks from the likes of Greg Cerrone, Faustix, Lunde Bros, Felix Leiter & Marrs TV, Kitsch 2.0, Eitro and many more. The package is further sweetened by John himself as he includes an intro recorded exclusively for the compilation and a brand new track, ‘Amedei’. 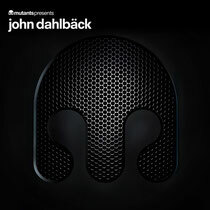 ‘MutantsMix’ by John Dahlbäck is out July 29 on Mutants Records.